I’ve finally moved into my first home. I’m bursting with excitement and happiness to share all my design and décor ideas that I’ve been pinning from google images and home décor magazines for many years. I am now the proud owner of what I’m calling my “urban cottage”, a small three-bedroom, two-bathroom ranch house in New York. I’m so excited to make this home my dream home. For the past several weeks the cottage has been under renovations. 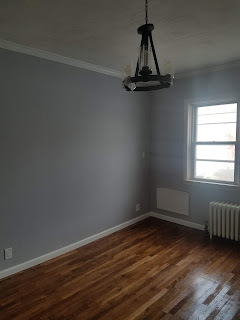 Within days after closing we realized that there was leaking behind a wall in one of the bedrooms (which wasn’t noted on the home inspection report). Apparently, there was an issue with the gutters and instead of falling away from the house when it rained, the water was seeping through cracks in the brick façade. Thankfully we were able to identify the source quickly and fix it. Initially, the renovation work was estimated to take about five weeks, however it’s ended up at nine weeks. And as I’m writing this now, my kitchen is still unfinished. We have yet to install the back-splash and the counter-tops. The counter tops will be ready in about a week’s time and then the back-splash will be installed. We started renovations in November. 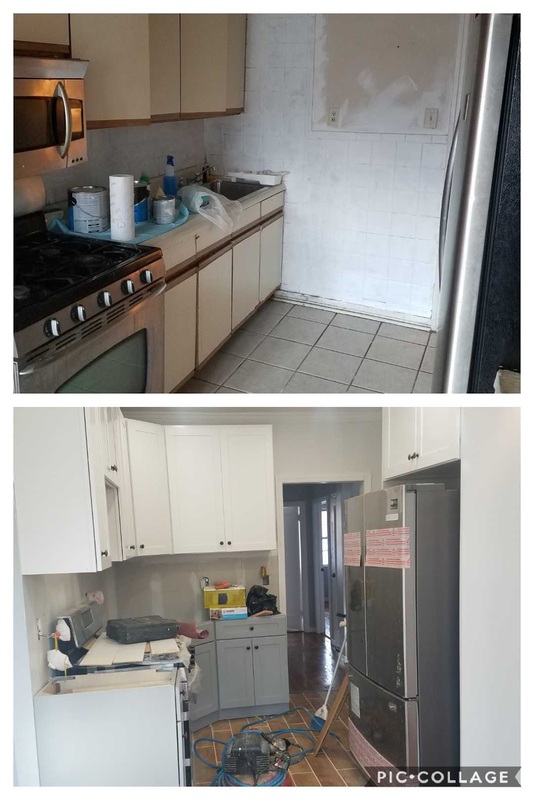 We completely gutted the Formica kitchen and got rid of the old appliances which were not functional. I think I mentioned this before, but the former homeowners were hoarders that allowed the home to fall into disrepair. There were many issues with the former kitchen, the burners did not turn on, the microwave was not operable and the fridge door couldn’t open due to food particles that had glued the door shut. In other words, it was a mess. But the kitchen had a lot of potential. 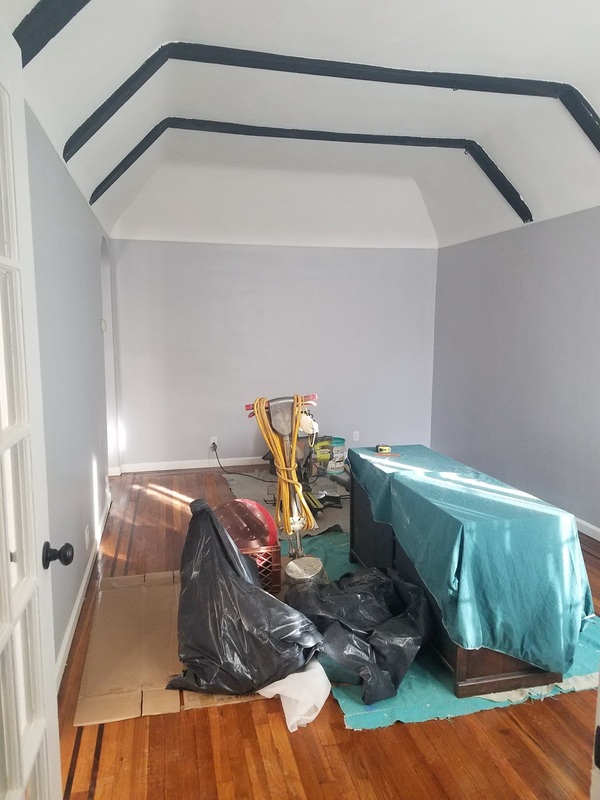 We’ve painted the house one of my absolutely favorite colors Clark and Kensington’s Silver Glamour paint, which is a light gray. It gives the house that light and airy feel that I was hoping to achieve. 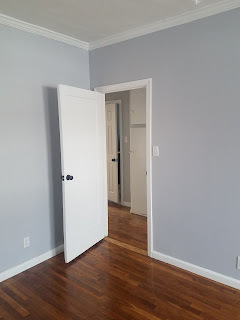 Especially in such a small house, I did not want to paint the walls a bright color, which would have made the house seem even smaller. 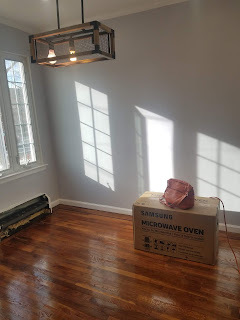 I'm trying to avoid the urge to rush out and immediately fill the house with furniture, big ticket items like a sofa or the upholstered king bed I've been fantasizing about for five years. So far, I've held off. Instead, I have kept the space almost empty. I have a white dining table, without dining chairs. My bedroom has a Queen sized bed and my living room has a TV console that I purchased from a big box furniture store. The 60 inch tv atop the console was a gift from the previous homeowners. They stated that it was brand new and they had no use for it that their new home. I accepted the TV because it was one less thing that I would need to purchase. I 'm definitely not a minimalist, but I don't want my house to feel crowded. Well, that's what the house looks like right now. I will keep you posted.